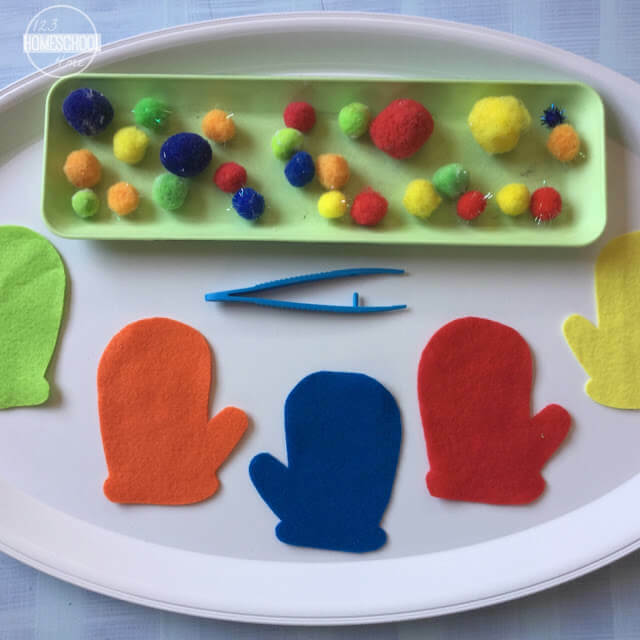 Kids will have fun practicing sorting colors and improving fine motor skills with this Color Sorting Mitten Activity for Toddler, Preschool, and Kindergarten age kids. 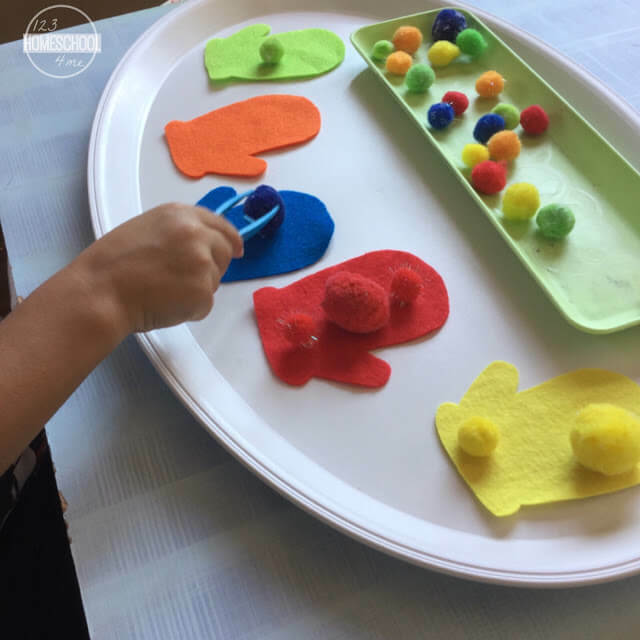 This colorful activity will be perfect for your toddler or preschooler. 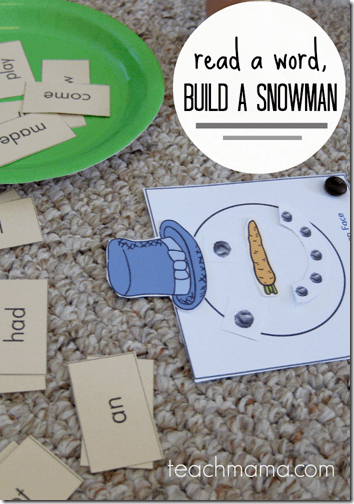 Combine it with simple counting activities and make it appeal-able to older kids too! 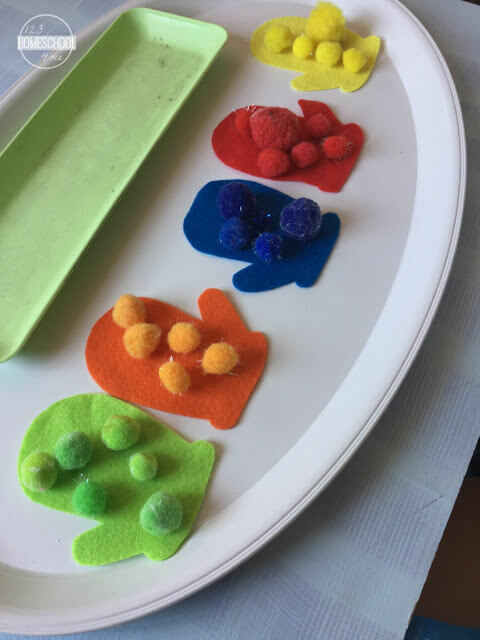 I like to set up these activities on a tray: it helps to keep the activity tidy. In the class setup, you can have different tray activities on one table without it getting mixed up too much. The child pick up a color pompom using the tweezer, then place it on the correct color mitten. 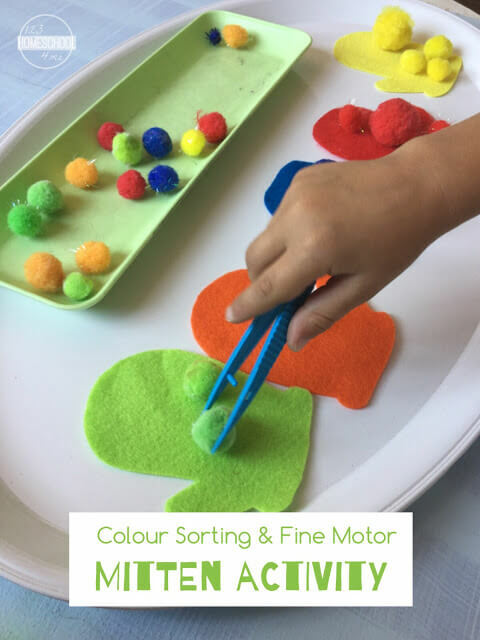 Using tweezers requires using those ever important fine motor skills and hand eye coordination skills for placing it correctly. Identifying the correct color mitten works on visual discrimination skills. Talk about the different colors: naming it with toddlers and preschoolers. Older children can count the pompoms and discover which mitten has the most, fewest etc. thus working on language development too! How many blue and red pompoms do you see? How many pompoms except the green ones? Use a dice to turn this setup into a game: roll the dice and add that amount of pompoms. Divide the mittens between kids. Each one gets a chance to roll the dice. See who has a mitten full of pompoms first! Also come and see how we used these mittens for upper and lower case matching HERE.